Home » News » A time for growth, success…and celebration! Well, we’ve certainly been busy! 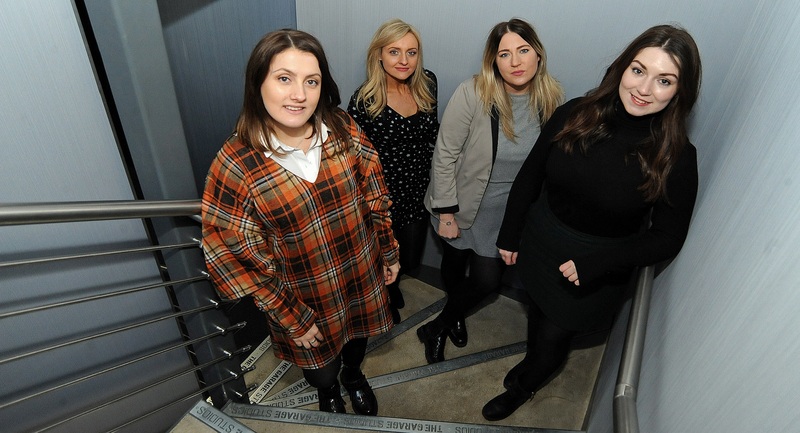 In the three short months since the start of 2018, we’ve expanded our offering at The Tonic Communications with a host of new recruits and move to two new offices. With bases in Nottingham, Newcastle and London, we’ve recruited a new PR account manager, events manager and PR account executive. Lucy Budge, Harley Young and Helen Cummings have all joined the Tonic team, helping to widen our unique offering to both existing and future clients. Former intern Emily Kirk has also been offered a full-time position, taking on the role of trainee PR account executive. And it doesn’t stop there! It really is an exciting time for the whole team – in Nottingham, we’ve moved to a larger office based in the heart of the Lace Market in the city centre, in the renovated building of The Garage Studios, on St Mary’s Gate. Our Newcastle PR office also recently moved to a larger office space within Collingwood Buildings, on Collingwood Street, to accommodate the growing team. Team members Lucy, Helen and Emily are working in their new roles at our Nottingham PR base, while Harley is located in Newcastle. Here at The Tonic Communications, we are proud to work with a range of national and local clients covering both consumer and B2B sectors, such as leisure, transport, healthcare, retail and technology. Our longstanding clients include national optical retailer Vision Express, North East bus operator Go North East and martech agency, the Clicksco Group. We have a specialist list of services, including public relations, event management, social media and digital expertise, on and off-site content development and crisis communications. To find out more about what we’ve been up to, follow The Tonic on Twitter, Instagram and LinkedIn and if you’re interested in working with a vibrant, creative PR team, please get in touch with us.